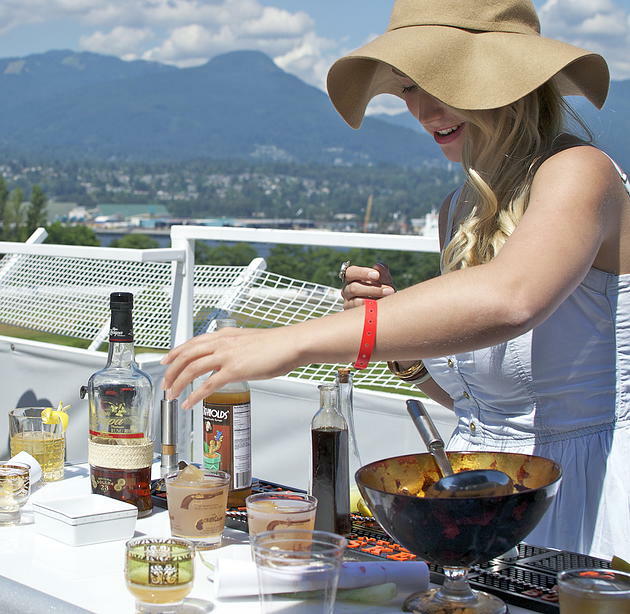 A summer in Vancouver is never complete without a visit to the racetrack. If you’re lucky, you mark your calendars and make it to the Weiner Dog Races. And if you’re truly lucky, you find yourself the biggest hat you can and head down to the track for The Deighton Cup. This year marked the 6th anniversary of one of the most anticipated events of the summer named in honour of the great ‘Gassy’ Jack Deighton himself. Attendees put their best fashion foot forward and come in their finest equestrian-inspired frocks. Fascinators and dresses, three piece suits, bowties and dandified gents abound. It is truly a fashion enthusiasts dream come true and a throwback to a more elegant and dapper time. 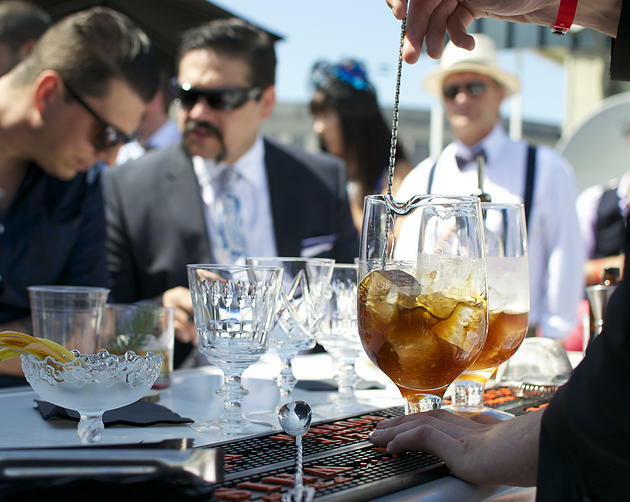 While I enjoy a day at the races as much as the next person, my interests for this event rested solely with the Cocktail Jockey Competition. 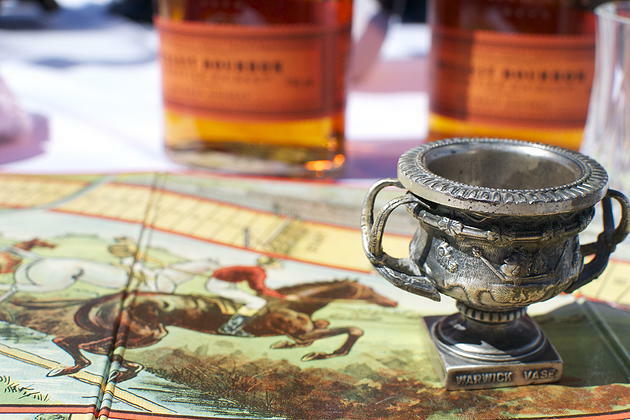 It was the second annual competition of it’s kind at The Deighton Cup. The inaugural Jockey was won by Sean McGuigan of Clough Club with his modern twist on a Mint Julep. 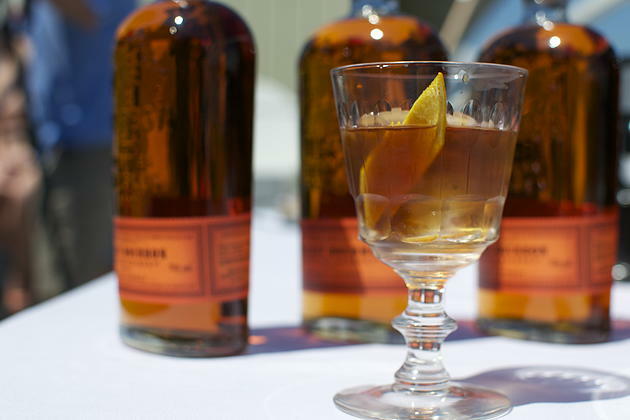 This year 12 of the city’s best bartenders were asked to create a modern expression of an Old Fashioned. 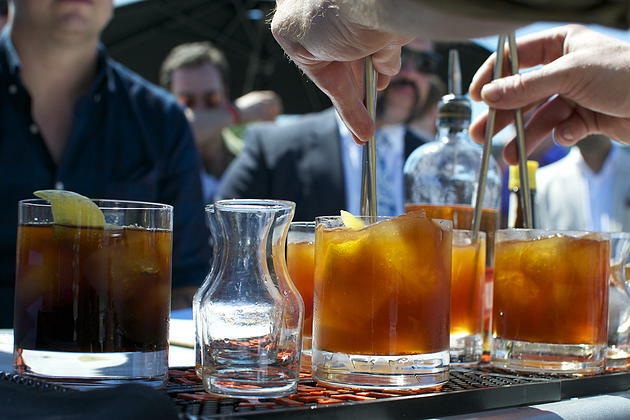 Each competitor stepped up their game as they presented four panel judges with creative twists on a classic. Homemade limoncello, smoked pine needles, apple cider ice cubes. It was truly inspired and I was so honoured to be able to watch some of the city’s best bar talent putting their skills to the test. Given the calibre of cocktail put forward, I wouldn’t have wanted to be in the judges shoes yesterday. But in the end they chose Cam Brown of Blackbird Bar as the winner of the 2nd Annual Cocktail Jockey Competition. 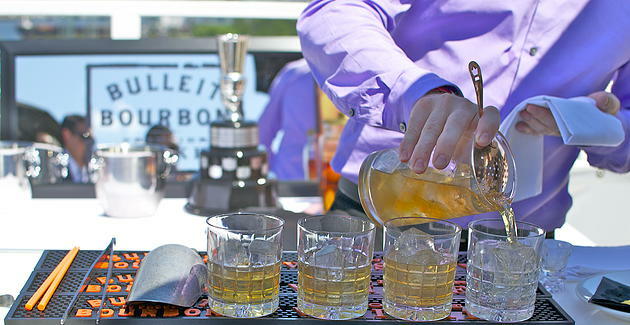 A most sincere congrats to Cam and to all the bartenders who competed yesterday. I am repeatedly blown away by the level of creativity, skill and talent exhibited by our local bartenders. Cheers! Cam Brown of The Blackbird Bar and winner of this year’s Cocktail Jockey competition stirs his cocktail for the judging panel. Sean McGuigan of Clough Club and last year’s winner of the inaugural Jockey Cocktail Competition pours his cocktail for the judges. Buck Friend of Bambuddah pours his modern take on an Old Fashioned. Thor Paulson of The Diamond quadruple stirring and blowing minds like a boss. 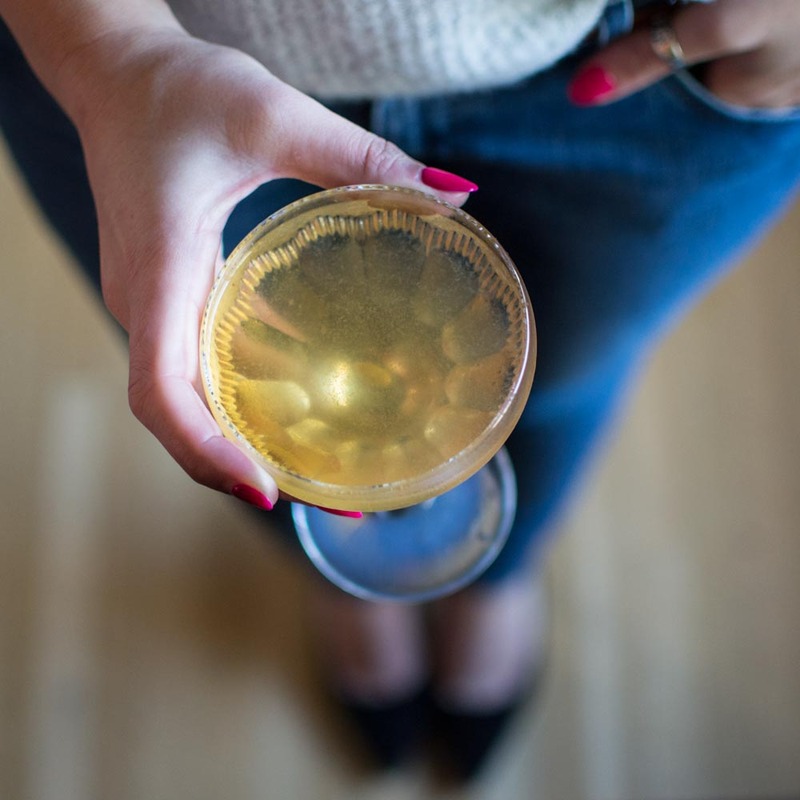 Julia Diakow of Reflections serves up her tiki-take on an Old Fashioned. 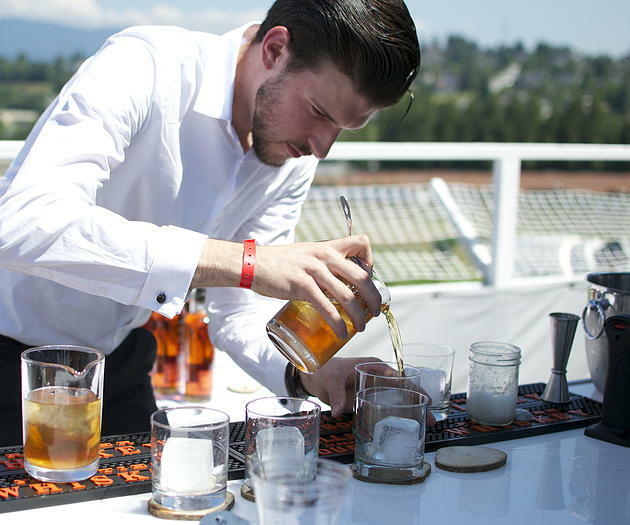 Deighton Cup goers look on as Kevin Brownlee of West Restaurant presents his cocktail to the judges. Competitors brought a creative flare to their presentations.